If you are searching for the perfect homemade acne remedy and you think you have tried them all, think again. Here are ten homemade acne remedies that you probably have never tried before—and they are all safe and soothing for your skin. 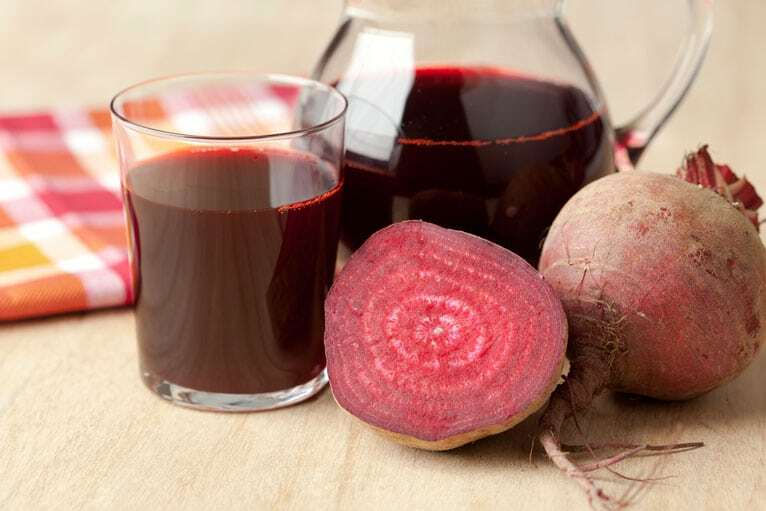 Drinking beet juice can help relieve painful pimples. Reduce your consumption of diet soft drinks to relieve redness of pimples. Take probiotic supplements if you take antibiotics for acne. Use red clover salve to relieve rosacea. Eat soy to reduce brown discoloration of the skin as pimples heal. Drink Earl Grey tea in the morning to relieve stress in your mind and in your skin. Make your own facial mask for just pennies from pure bentonite and warm water, with no additives. Use chamomile to relieve inflammation and redness. Use camphor or Campho-Phenique to relieve itching. Drink beet, celery, or cucumber juice to relieve painful pimples. 1. Stop drinking diet drinks, especially those made with sucralose (Splenda). Diet drinks don’t have calories or sugar, but they can play havoc with the probiotic bacteria in the colon. These friendly bugs are useful in managing acne by virtue of their role in “training” the immune system. The immune system learns that bacteria in the colon don’t have to be attacked with inflammation, and transfers that lesson to the skin, where it responds to acne bacteria with less inflammation. Sugar-free soft drinks raise the pH of the intestines and make the environment less friendly to friendly bacteria, and they also have to be detoxified with liver enzymes that activate some acne medications. 2. Take probiotics, especially if you take antibiotics. Antibiotics don’t just kill acne bacteria. They can also kill antibiotic bacteria. You can restore probiotic bacteria by eating yogurt with active cultures (in the USA, Activia, Stonyfield Farms, or Yakut), but it’s better to take a probiotic supplement. Probiotic supplements are encapsulated to protect the bacteria from passage through the digestive tract. There is a good probiotic product from Exposed Skin Care, or you may want to take Culturelle or Florastor. 3. Try J. R. Watkin’s Red Clover Salve for rosacea. Red clover contains natural coumadins that slightly increase circulation in the skin. Red clover salve applied to rosacea-prone skin keeps circulation moving through the skin so that changes in temperature do not cause big changes in circulation. This makes capillaries just under the skin less likely to break or leak, so that there is less redness and fewer purple broken veins on the face. J. R. Watkin’s Red Clover Salve is available online. 4. If you have a problem with discoloration of the skin after pimples heal, try soy. When skin heals after acne, the skin-making cells known as keratinocytes send out chemicals to dissolve packets of pigment in the skin. The melanin pigment in these melanosomes relieves inflammation and helps the skin begin the process of healing. It also leaves the skin darker. Soy contains a protease inhibitor that blocks the enzyme that breaks up the packets of pigment. Eating soy while acne is healing will reduce discoloration and spotting later. It only takes a small amount of soy each day to make a difference—as little as 1/2 oz (14 grams) of tofu or a dozen edamame a day is enough. 5. If you have trouble getting up in the morning, drink Earl Grey tea. The distinctive flavor and aroma of Earl Grey tea comes from bergamot, a kind of dried citrus added to the tea. Bergamot oil in cosmetics and acne care treatments can irritate your skin, but bergamot in Earl Grey tea can help calm your skin—if you drink it in the morning. Drinking Earl Grey tea in the afternoon or evening does not have this effect. Acne sufferers who stress out in the morning while getting ready for school or work may feel better and look better if they drink Earl Grey tea. 6. Make you own facial mask with pure bentonite clay. You can buy ready-made facial masks for as much as US $79.99. You can buy a package of bentonite clay for as little as US $3.99. Add warm water to bentonite until you have a slightly slippery consistency of clay. Apply the clay to your face and let it dry. Then take a warm shower, removing the clay mask with the help of a soft washcloth. Using just the clay with no additional ingredients may actually do more for your skin than using a prepared facial mask that contains alcohol, menthol, or witch hazel extract, all of which can irritate and dry your skin. 7. Use essential oil of chamomile in aromatherapy. Chamomile soothes inflammation. It stops allergies. You can get these benefits by drinking chamomile tea. (In the US, chamomile is in the Latin American section of most markets, labeled as “camomila.”) Or you can use essential oil of chamomile as aromatherapy. You’ll need a vial of the hot water, essential oil, a bowl, and a towel. Place water that is hot but not boiling into the bowl, and add 8 to 10 drops of essential oil. Hold your face over the bowl with towels draped over your head to capture the vapor. As you feel relaxed, your skin will be more relaxed, and less likely to break out. 8. Treat itchy acne with camphor or Campho-Phenique. Camphor is a herbal skin remedy that acts as a counter-irritant. It causes just a little burning so you don’t notice itching. Of course, overdoing camphor can cause problems of its own. Camphor is not a good idea for everyday skin care. But if you just can’t stop scratching or picking at itchy pimples, treatment with a camphor stick (such as the product made by Desert Essence) or with a camphor-based liquid (such as Campho-Phenique) can help you keep your hands off your face so pimples can heal. 9. Drink beet, celery, and/or cucumber juice to relieve painful acne. Combinations of beet, celery, and cucumber juice, which you can make at home with a juicer, are a traditional remedy for the pain of cold sores. These healthy juices also take the pain out of acne or impetigo—although you will need to use other treatments to help your skin heal. If you don’t care for the juices, try holding a damp tea bag to affected skin, and then throw the tea bag away. 10. Stay out of the sun. You can’t dry up acne by spending time in the sun, but you can dry up your skin. The linings of pores shed tiny flakes of skin over sebaceous oil and bacteria. Getting a suntan or, worse, a sunburn, can cause even worse acne 2 to 4 weeks after you spend time in the sun. Staying out of the sun, or using sunscreen, can reduce your problems with acne.